One of the most important ecosystems in the world, the Pantanal is a large wetland filled with diverse wildlife and exotic plants and trees. Marsh deer, iguanas, rheas and monkeys all call this area home. Eco-tours have been developed through the wetlands that focus on teaching clients the beauty and mystery of the rainforest. Guests can enjoy many encounters with the wildlife. These tours are mostly eco-friendly as they rarely leave a trace of having traveled through the area. 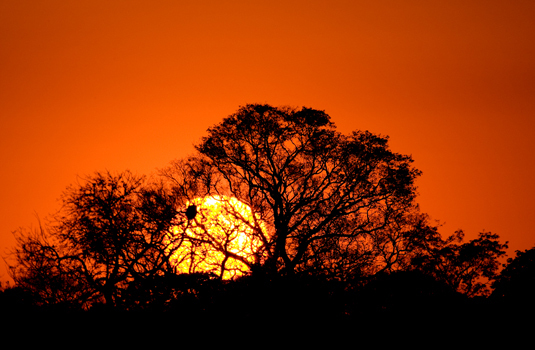 Most trips to the Pantanal start at Santa Cruz de la Sierra where a train or plane will take you to your lodgings. Once there, prepare for the trip of a lifetime. Many of the lodges have trained guides, biologists or botanists to guide and educate you about these wetlands. Begin your tour of the lower Pantanal with a stop at the gold mining town of Pocone. A canoe trip takes you through these waterways to enjoy the natural surroundings. Watch for giant otters cavorting around the canoe. They are quite playful and their antics are very funny. For those who prefer not to travel in boats a 4-wheel drive tour of the Park Road can provide a cornucopia of animal sightings. This road passes through the flood plain and is used by the natives as a walk path. Tapirs, anteaters, capybaras and caimans can be found trotting down this pathway. This tour is especially effective at night as many animals come out of their daytime dens to hunt for food. Do not be surprised if you see a jaguar hunting for her cubs. Hiking is another popular way to see the wetlands. Walking along the shore of Caceres Lagoon you can easily spot the resident monkeys as well as over 40 species of birds. Or take a walk up to the top of the Howler Monkey Tower to watch the monkeys play and romp through the treetops while you enjoy the sunset over the Pantanal. A nocturnal hike through the forests is an excellent way to see many of the animals at the height of activity. Nighttime is hunting time when animals leave their daytime abodes to venture out for a tasty dinner. Perhaps the best way to get into the heart of the Pantanal is by horseback. The horses can take riders where trucks are unable to penetrate. These wild areas of the Pantanal offer a better chance of seeing some of the more shy residents such as the tapir, peccaries and deer. A sunrise ride allow travelers to hear the glorious music of the new day with chirps, roars, whistles, grunts and squeaks all paying homage to the morning sun. 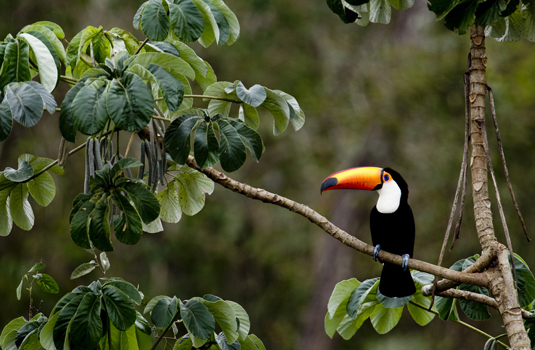 The Pantanal has a myriad of activities for the visitor to enjoy. Accompanied by experienced guides, hiking, horseback riding, canoeing and rowboat tours are the most popular ways to enjoy the wetlands and surrounding jungle. Expect to see some unusual animals such as crab-eating foxes and some not-so-unusual animals such as the common raccoon.